As the excitement surrounding the opening of the Murcia International Airport begins to fade and people, businesses and politicians turn their attention to the practicalities of life in the region without San Javier airport, depriving the town of one of its most important sources of economic activity, the mayor of the municipality is demanding that the government takes “exceptional” measures to redress the regional loss. 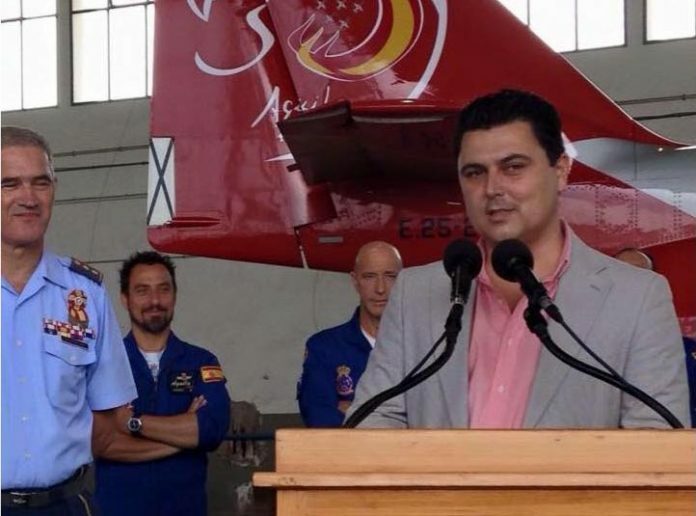 At a press conference held on Monday, the mayor of San Javier, José Miguel Luengo , said that “There is no example in this country whereby an airport has been closed on one day and another has been opened in the adjoining municipality the very next day,” however he is hopeful that negotiations will soon be reopened to bring “the best flying museum in Europe to the region”, with the arrival of the Infante de Orleans Foundation and its collection of 44 historic aircraft, “some of them absolutely unique in the world”. He said that “our sadness will make us more competitive, despite the harmful effects of the airport closure” and that the museum will be a good future option which will undoubtedly complement the Eagle Patrol Display team and the General Air Academy. Accompanied by the mayors of San Pedro del Pinatar, Visitación Martínez , Los Alcázares, Anastasio Bastida and the general director of the Mar Menor, Luengo acknowledged that the transition is not going to be easy, pointing out that the Infante de Orleans Foundation has been in Madrid’s Cuatro Vientos airport for over 30 years. He added that the impact began to be noticed the day after the opening, with little work for taxi drivers and he has called for “exceptional” measures. Equity cannot be applied “because there is no example in this country where such a situation has ever happened before” and since it is an “extraordinary” situation, he says that “the Government must be prepared to adopt extraordinary measure to ensure the revitalisation of the economy and the tourism that San Javier has now lost”. Previous articleA Challenge to bowlers in Valencia.